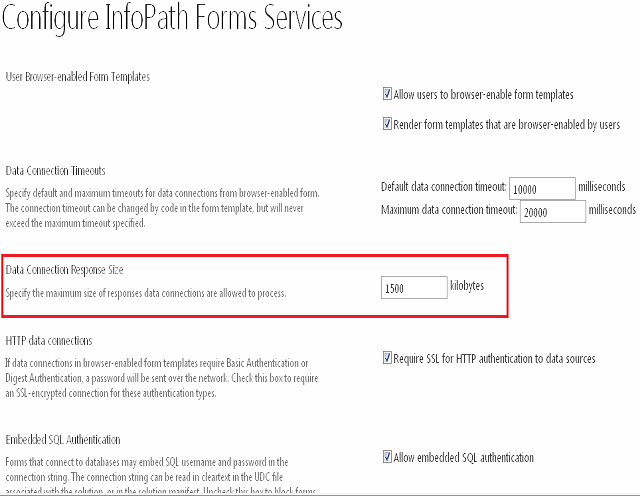 If you are using Info Path to develop web forms you might have faced this issue. Follow below steps as described in “Resolution” in order to overcome this issue. The Default data connection response size if set to 1500kb for Form Services, If the response from the data connection size exceeds the default limit the warning will be shown on screen. 03. Change the Response Size in kilobytes (Increase the number).